The stretcher is the equipment in the current ambulance, which meets the needs of the patient and is convenient for the patient to lie down with the wounded. It can be used for ambulances, hospitals, battlefields, gymnasiums to transport wounded and sick people, and can also be used for general surgery. 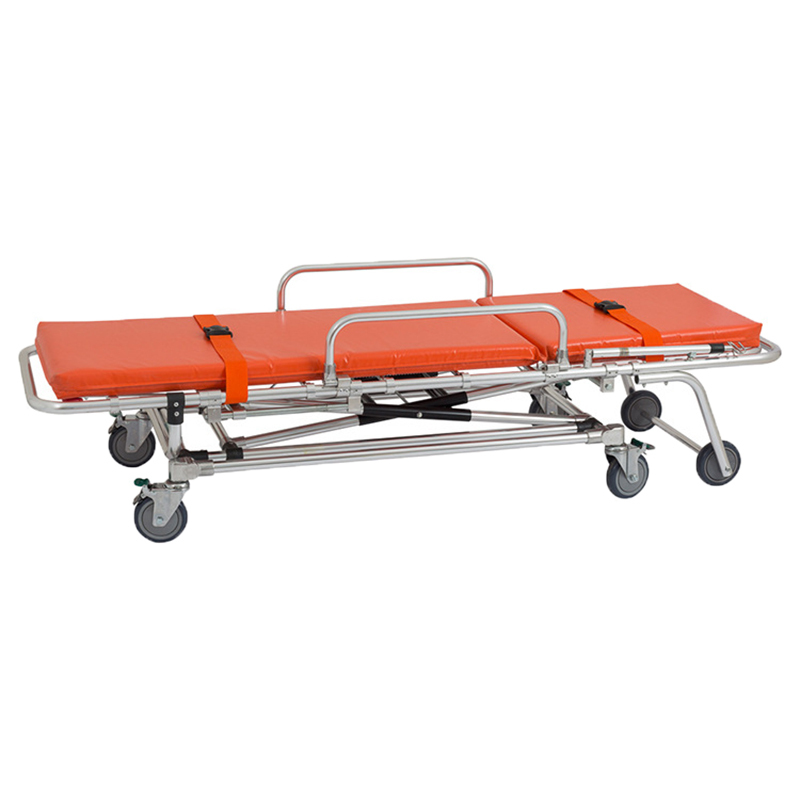 The performance characteristics of the ambulance stretcher are different from those of the ordinary stretcher, and high-quality aluminum alloy aluminum is generally used. The structure is light and flexible. The foam cushion is used to make the wounded and lying comfortable. 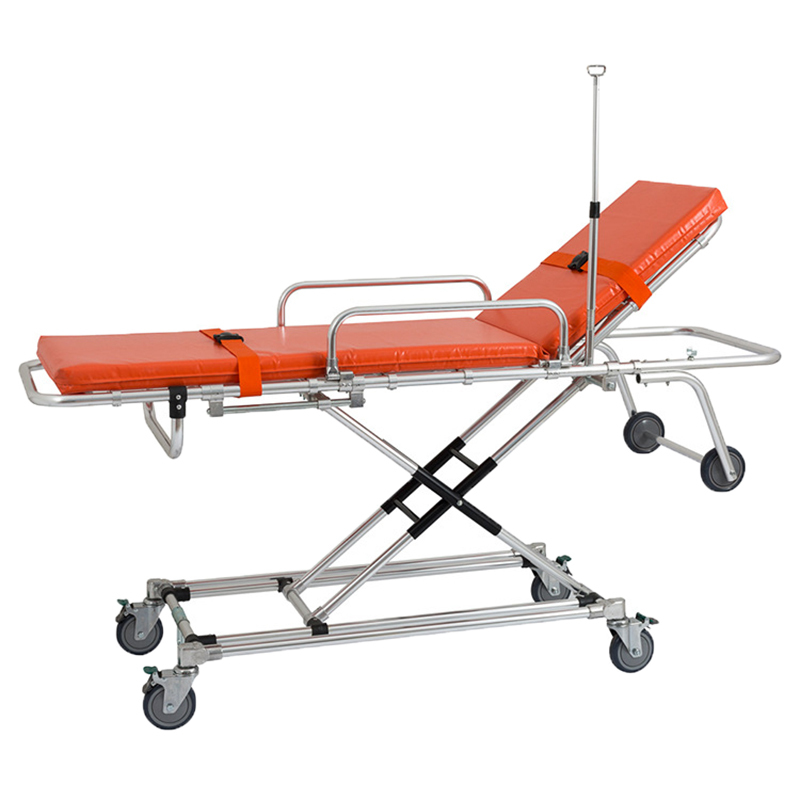 At the same time, there are telescopic handles on both ends for easy lifting of the stretcher. The low frame structure can be moved on the ground and lifted up. 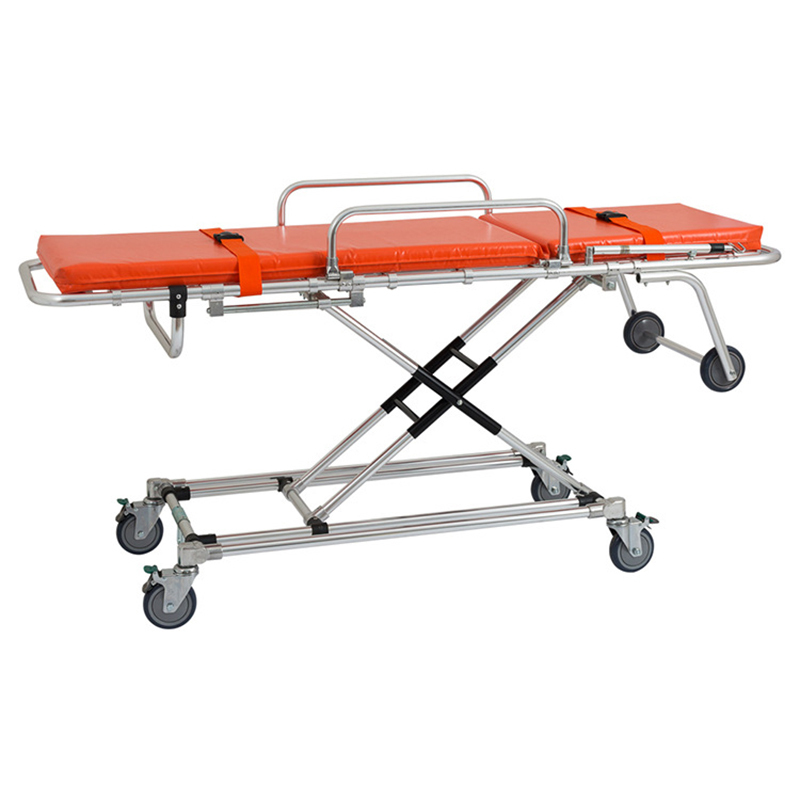 The name of this product is: X-shaped aluminum alloy ambulance stretcher, which is all-aluminum structure, foldable 4 times, and automatically boarded, which is a convenient assistant in rescue first aid. Product introduction: 1. Stretcher height can be adjusted 2. Backrest angle 0-65° adjustable 3. Folding leg structure, safe and convenient 4. Medical silent wheel, eliminate noise 5. High position: 195*55*85, Low position: 195*55 *25, Self-weight: 40Kg, Load-bearing: 160Kg 6. All-aluminum structure, strong and durable 7. 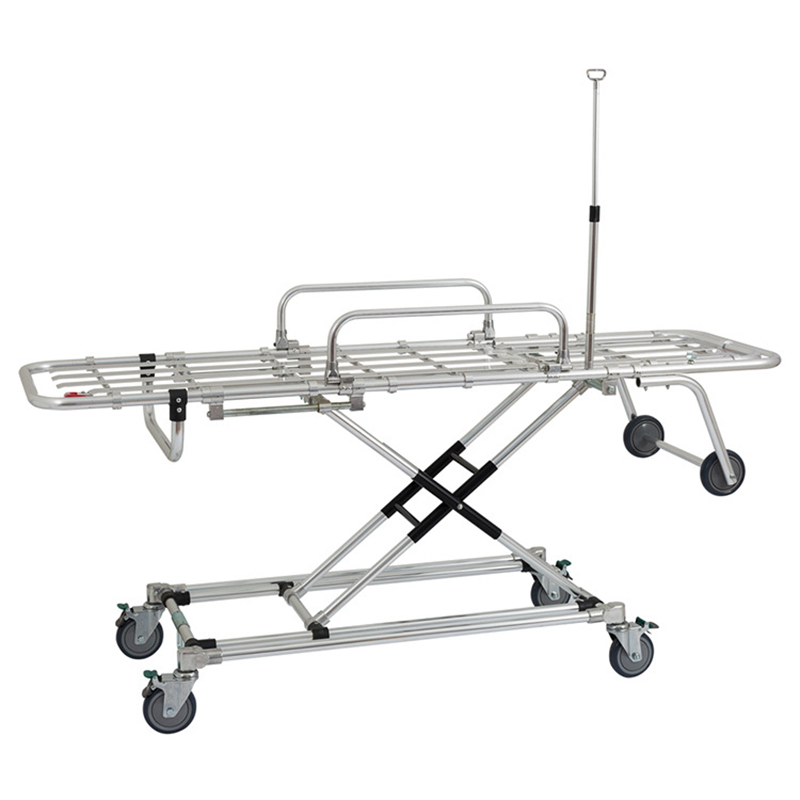 It is an automatic on-board stretcher, convenient and labor-saving 8. Press the handle when adjusting the height, simple and convenient 9. Use anti-seepage sponge cushion 10 The backrest home and legs can be adjusted to make the injured person comfortable. 11. With a safety lock, the patient must be locked when transporting the patient. 4. Folding leg mechanism, safe and convenient. It is equipped with a safety lock to ensure safety during transit.